Summer is challenging for most families with young children. For families with autistic children, the challenges increase dramatically. Fortunately, families have a wide range of options for summer programs, as well as a long list of tips and tools for making summer more fun and less stressful. What&apos;s So Challenging About Summer? Many parents face summer with a combination of excitement and dread. On the one hand, summer means more time with the kids; on the other hand, summer means more unstructured opportunities for kids to get bored or, worse, get into trouble. For working parents, summer can mean a stressful rush to find a summer camp program that's fun, affordable, and reliable. Parents with autistic children face a very different and more imposing set of challenges. For children with autism, structure and routine are synonymous with comfort and security. Provide it, and life is predictable and manageable. Withdraw it (as happens every year in June) and the world turns upside down. When children with autism feel stressed and anxious, they typically show their feelings through behaviors that can be difficult or even impossible to manage. Most children with autism have in-school programs or therapies that are paid for by the school district. These may include intensive or modified Applied Behavioral Analysis (ABA), speech therapy, occupational therapy, and/or social skills therapy. Children may also have 1:1 aides in school who are able to manage difficult behaviors. At the end of the school year, these supports and therapies may disappear (though some families are able to continue to access some therapies throughout the calendar year). School districts are required by law to provide extended school year (ESY) programs during the summer to students who might regress without them. These programs, however, are rarely full-time and are unlikely to include all the elements of a school year program. Meanwhile, typical summer camps are unlikely to say "yes" to including a child with more than a very mild version of autism spectrum disorder. Special needs camps and programs are increasingly available in some areas, but they are not available everywhere and may not be appropriate for your child's needs. Even if you do find a summer camp or program for your child, chances are the costs will be much higher than they would be for a typical child. That's because autistic children often need much higher counselor: camper ratios, and may also require specialized care. Another alternative, sending a child to a typical program with an aide, may cost you almost as much as "special needs" camp. In some families, a parent or other caregiver is able to stay home with the children over the summer. With an autistic child, this can be a very stressful experience. Not only is it often difficult to care for an autistic child and keep him or her occupied, but having an autistic child in the family can make whole-family outings more difficult. Summer vacations are supposed to be a time for relaxation, though many parents find vacations to be stressful. Parents of autistic children can be overwhelmed by the challenges of leaving home with an autistic child, navigating restaurants and hotels, and at the same time finding opportunities for fun with siblings. Add to that the stress of feeling judged by extended family or other vacationers, and you may need a vacation from your vacation! Luckily, you know exactly when summer is coming and how long it lasts. That means you can plan for success well ahead of time and have all your ducks in a row when the last day of school arrives. It also means you can prepare your child and his or her support staff with plenty of time to spare. Here are some tips for making the experience less stressful and more successful with each succeeding year. 1. Start early. Start researching your options in September. Start conversations and plans before Christmas. Have your ducks lined up by the end of February. Start preparing your child and others by April. Slide into summer with less stress in June. 2. Understand and apply for ESY. Extended school year programming is almost certainly available to your child, but parents aren't always well informed about the process by which children are evaluated for ESY. In addition, while some districts offer full-day ESY, others offer just a few hours while yet others are willing to provide support to children in non-school settings such as summer camp. All should provide at least some therapy (often speech, ABA, and/or occupational therapy) during the summer months. "If you have questions about a legal issue, you need to do your own legal research. This is especially true for extended school year because courts in different states and federal circuits have issued decisions that create different standards, and the standards for ESY have changed quickly. " 3. Build a summer routine. If you have a child with autism, you may need to forgo summer spontaneity—at least for a few years, until your child is able to go with the flow. Rather than making plans day by day, know what you'll be doing every day and every week. Mark plans on a calendar (or use a visual daily chart) and go over tomorrow's plans with your child. If you're doing something unusual, use pictures and social stories to help your child prepare. If your activity is weather-dependent, have an alternative in mind and share it with your child ahead of time (if it's sunny we'll go to the pool; if it's rainy we'll go to the library). 4. Find, create, or pay for support. Parents with autistic and typically developing children have a unique challenge in the summer: how do provide your typical child with ordinary summer fun while also supporting an autistic sibling? The obvious answer is "divide and conquer," meaning splitting the children up and having one parent take each child. Sometimes, however, that simply isn't feasible. Another option is finding a friend or relative interested in spending time with your typically developing child (it can be wonderful for a typically developing child to get special time with Grandma, for example). If you have the money or funding, you can also hire a student or even a teacher to spend time with your autistic child while you enjoy some much-needed respite. 5. Consider camp options. Special needs camps can be very pricey, but in some cases scholarships are available. In addition, some organizations, such as the Y, JCC, and Rotary, will accept special needs campers on a limited basis at a reasonable fee. If your child is willing and a camp is available, say yes! Bear in mind that such camps may not advertise; you may, therefore, need to do some research to discover opportunities for your child. 6. Plan vacations carefully. It's tempting to just "go on vacation," intending to discover and explore new destinations as you go. But if you have an autistic child along, a spontaneous vacation is a recipe for disaster. Sure, you can have downtime (in fact, you'll certainly need it) but even on a beach vacation, most kids with autism need a clear schedule and plan. This goes double for vacations that include extended family who are not already very familiar with and comfortable with your autistic child. Know exactly what will happen each day, and have alternate plans already in mind in case of an autistic meltdown or unexpected setback. 7. Become your child's therapist for a few months. 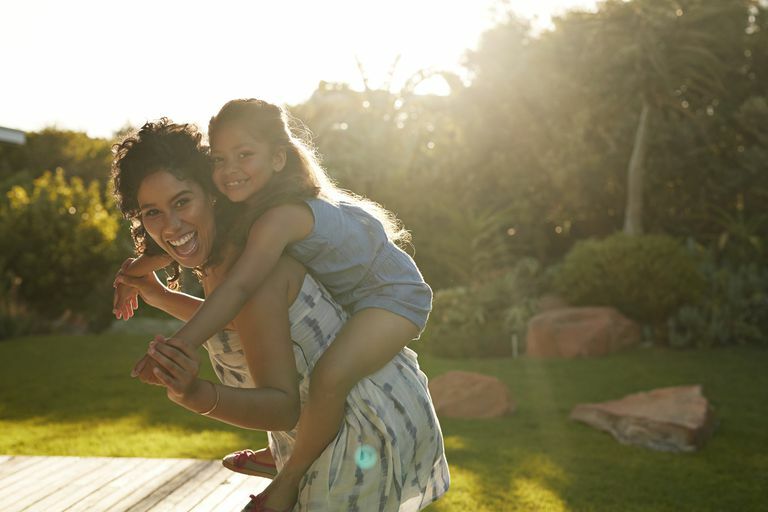 While most parents aren't eager to become full-time therapists, there are forms of therapy that parents can take on while also enjoying quality time with their children. Read up and watch videos on play therapy, Floortime, or the Hanen speech method (to name a few options) and learn how to turn ordinary together time into a therapeutic session. Even if your child doesn't have formal therapy over the summer (and he should, through ESY! ), he'll learn a lot from his time with you. 8. Build "me time" into your summer. Spending quantities of time with an autistic child can be rewarding, but it can also be frustrating and exhausting. To be your child's best advocate, therapist, caregiver, and parent, you need time to step away and recharge. That may mean arranging your time to take advantage of ESY hours, or, if that's not an option, spending a little extra money for a babysitter who "gets" your child. Either way, don't allow yourself to become so overwhelmed that you're not able to be fully present for your child. The most important element for a successful summer with your autistic child is preparation. Plan ahead, prepare your child for new situations and know in advance how you'll manage tricky situations. Once you've lined up your ducks in a row, chances are you'll do just fine.